Home Shop NewsHorror tattoo special! Subject to artist’s discretion. Minimum one hour designs. 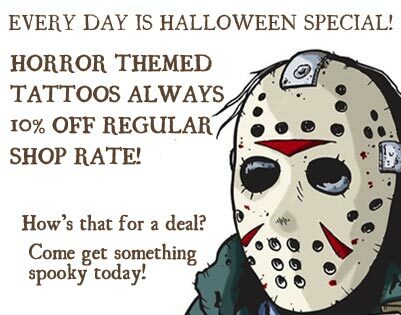 Next Next post: $20 Halloween Tattoos, now through Saturday!